An early morning crash last Friday morning, October 18, on 118 Freeway near Porter Ranch left four people injured. The accident involved four vehicles, including a semi-truck. According to the California Highway Patrol, the accident, which was reported at about 8 a.m., led to the closure of the Tampa Avenue exit ramp as well as at least four lanes of traffic for more than two and a half hours. There is no word on how seriously the four individuals were injured. 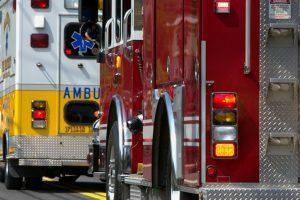 However, the Los Angeles Fire Department stated that a man needed to be extricated from the semi. Physics – Semi trucks have a longer stopping distance. A higher center of gravity also makes these trucks less stable and more difficult to handle. 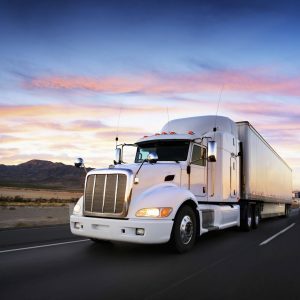 Driving habits – Commercial truck drivers typically drive for long shifts, leading to drowsiness. Other drivers also do not always take proper precautions when driving near semis. Length – The long length of a semi truck creates dangerous blind spots. These factors can lead to jackknife accidents, rollovers, and collisions. Who is liable in a truck accident in California? California is a fault-based state. This means a party may be held legally responsible for damages if their carelessness caused an accident that injured another person or their property. Unlike in no-fault states, an injured party can recover damages from the at-fault party or his or her insurance company. Determining at-fault parties are just one of the issues that complicate truck crash investigations. Truck accident attorneys work with experts across multiple fields to gain an understanding of what conditions contributed to the accident and who is responsible for vehicles involved, including the truck and/or its driver. State and federal commercial carrier regulations also play a role and can affect the type of compensation that an injured victim can recover. It is important to care for your immediate medical needs but if you are physically able, or have someone who can help, be sure to document the scene as much as possible. Obtain contact information for other parties and witnesses. And be sure to speak with a lawyer as soon as possible, and especially before speaking with any insurance representatives. All too often, people unknowingly limit their rights by speaking with insurance adjusters before obtaining counsel. The Los Angeles truck accident attorneys at Ellis Law Corporation approach personal injury cases with a personalized approach combined with aggressive representation – that is why we boast a 99% success rate. Call today for a free, confidential, no-obligation case review. Driving a truck can be a good job, with salaries ranging from $30,000-40,000 at the entry level to $70,000 or more for experienced drivers. It’s also a job where demand is high, so as long as you can pass the requirements, your chances of landing a position are very good. But how does one become a truck driver? There are a variety of requirements. 1. Make sure you meet the requirements and have the abilities. First, think about whether you meet the requirements of the job. Most companies require drivers to be at least 21 years old. You’ll need to have a driver’s license, of course. You’ll also need a very good driving record. A history of accidents or even one driving under the influence (DUI) conviction is likely to disqualify you in the minds of many employers. Many companies require that drivers have at least completed high school, although others will accept drivers who don’t have a high school diploma. You should also think about whether you have the abilities needed, both psychological and physical. Truck drivers need to be away from home for long stretches of time. They work very long hours — sometimes 12 or more hours at a time. They require stamina for long-haul work. 2. Apply to truck driving school. Truck driving is not a job where you need no training. On the contrary, a number of truck driving schools teach how to drive a truck and the laws surrounding the operation of trucks. Programs can last up to 10 weeks or so. Instruction will include both study and written work and hands-on instruction in driving. Many schools have placement programs for promising graduates. 3. Obtain a commercial driver’s license. After going to truck driving school, it’s imperative that you have a commercial driver’s license (CDL) if you want to be a truck driver. 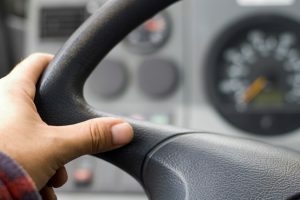 Under California law, you must pass a written test and then a driving test, with the same class of truck as the one you are applying for a license to drive. Applicants must bring their own truck to the test. Applicants are allowed three attempts to pass the test. 4. Pass the Federal Motor Carrier Safety Regulation exam. All truck drivers must take and pass the Federal Motor Carrier Safety Regulation (FMCSR) exam. It is a two-part test, written and physical. The written part tests your knowledge of Federal traffic laws. The physical portion tests your hearing and vision. The second part needs to be repeated every two years. 5. Work in orientation sessions. Because truck driving is complex, many companies require their drivers to work in orientation sessions before completely driving on your own. You may have a mentor who rides with you on the first few drives. Despite the extensive training and licensing of truck drivers, a number of factors cause all too many truck accidents in southern California. 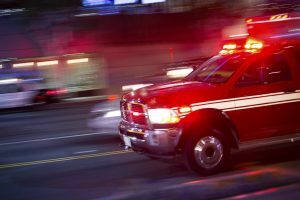 If you or a loved one has been injured or killed in an accident involving a truck, call the L.A. truck accident lawyers at Ellis Law Corporation today. We have the experience, knowhow and tenacity to fight for maximum compensation for your losses. Call 310-641-3335 to discuss your case. The first appointment is complimentary, and you never owe us money unless we win your case. How to Become a Truck Driver. WikiHow. https://www.wikihow.com/Become-a-Truck-Driver. A cement truck and a sedan were involved in a crash in downtown Los Angeles in late August, trapping the driver of the sedan for roughly half an hour. Firefighters used a crane to rescue him, removing the sedan’s roof to reach him. The rescued driver, who was said to be 25 years old, was taken by ambulance immediately to a nearby hospital. Neither his injuries nor his name have been released. The cement truck driver, 49 years old, was listed in fair condition with minor head injuries. His identification has also not been released. Early news reports described the car as “mangled” and some photos appeared to show it partly under the cement truck. Despite this, the car’s driver was said to be conscious and alert during the rescue. The accident occurred at roughly 10:10 p.m. It occurred in the 200 block of West Washington Boulevard. Power lines in the area were downed, although no fire resulted. The crash also closed some public transportation routes. The Metro Blue Line light rail was temporarily closed near Washington Boulevard and Grand Avenue and proximate streets in both directions while firefighters worked. Authorities are currently investigating the causes of the crash. How Is Negligence Determined in a Truck Accident? Unfortunately, collisions between trucks and cars are far too common in southern California. In cases like the most recent one, it’s not possible to comment on the causes or liability because the causes are not yet known. Some general comments on how negligence is determined in truck accidents can be made, however. Truck accident liability can be complicated, largely because there are so many factors that could be responsible. 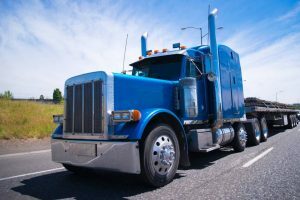 Driver error or failure to follow laws and safety rules of the road can always be the cause of an accident, of course, and truck accidents are no exception. One or both drivers may be at fault. But many trucking firms use subcontractors to maintain and service their vehicles. Improper or infrequent maintenance and service can also be the cause of an accident, no matter how good the driver was. 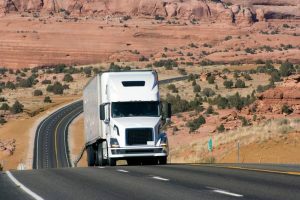 Other factors include the load of the truck, whether Federal trucking regulations were followed, weather conditions, and the state of the roads. Parties can be considered negligent if they were aware conditions were unsafe, bore responsibility for making them safe, and failed to take actions that would have made the conditions safe. Drivers can be at fault if they failed to obey the law or standard rules of the road. 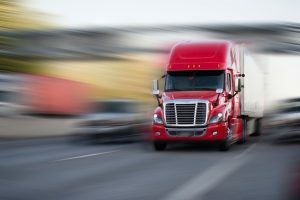 Because multiple parties can be responsible for a truck accident, accidents involving trucks often need to be investigated to determine causes. Liability may be determined to rest with one party or multiple parties. The attorneys at Ellis Law Corporation bring 20 years of experience to the table when it comes to fighting for the rights of truck accident victims and their families. For a complimentary review of your case, please call 310-641-3335 today and speak with a qualified LA truck accident attorney. We will battle to see that justice is done. A tanker truck and an SUV crashed on the 105 Freeway near Hawthorne in late August, killing the drivers of both vehicles. Neither was identified in early news reports. The tanker collision caused an inferno of flames that shut down traffic in both directions for several hours. The accident occurred near Prairie Avenue in the early morning, at 5:13 a.m. The eastbound lane of 105 was opened at 8 a.m. and the westbound lane at roughly 7 a.m.
Investigation of the causes of the crash was still ongoing, but witnesses told news reporters that they had seen the SUV, a silver Land Rover, weaving in and out of traffic erratically and aggressively. One witness told KABC that the SUV had jumped and appeared out of control due to a leftward swerve the driver made and hit the divider. The witness also said that the tanker became detached from the truck and that the truck made a scissor. The crash site is roughly 3 miles from Los Angeles International Airport. Many in vehicles on the freeway in the earning morning were driving to the airport. In fact, some travelers attempted to catch their flights by abandoning their vehicles and walking to the airport, hauling themselves and their luggage over a fence. One of the stuck vehicles was a food truck owned by AC Catering. Workers in the truck opened it on the freeway and sold food at half-price to other stranded passengers. Firefighters let the blaze burn itself out. Officials at CalTrans indicated that freeways’ integrity had been inspected, and that the crash caused only minor surface damage. Because the investigation is ongoing, it’s not possible to speculate on the causes of this crash. However, it is possible to give a general overview of negligence in truck accidents. 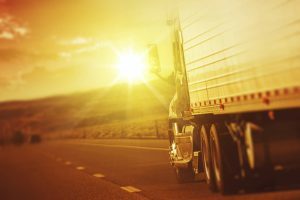 Legal cases involving trucks can be complex, because drivers, subcontractors responsible for loading and maintaining the truck and more, and owners can all be at fault. In addition, of course, just because a truck was involved in an accident doesn’t mean that the fault has anything to do with the trucks. Trucks can crash and burn due to the actions of other drivers or road conditions. For any party involved to be deemed negligent, they need to have known that conditions were unsafe, had responsibility for the safety, and failed to take action that would have made the conditions safe. Drivers of all vehicles may be negligent for a crash if they fail to obey the laws and rules of the road. The award-winning attorneys at Ellis Law Corporation have been litigating and investigating truck accidents for more than two decades. Please call 310-641-3335 today for a complimentary consultation with an experienced truck accident lawyer in Los Angeles. Learn about your legal options for monetary compensation. Large trucks are a common sight on southern California roadways. They are vital to the nation’s economy. Unfortunately, they are also dangerous. An estimated 3,838 fatal collisions involving trucks occurred in 2015, the last year for which statistics are available. Trucks crashed on the road 317,000 times in 2012. One of the most common type of large truck, semi-, or tractor-trailer crashes is termed the “jackknife.” The term arises from the look of the truck after the crash. The driver stops too suddenly and may lock the brakes to avoid an obstacle, debris on the road, or another vehicle. The truck skids, turning part of it at a 90-degree angle to the other part, or an L-shape. It looks similar to an open jackknife. Jackknife accidents can be caused by multiple factors. It might be driver error or driver inattention, causing the truck driver to try and stop too quickly given the speed and weight of the truck. But it can also be caused by another vehicle pulling out in front of a truck or changing lanes, necessitating the driver to lock the brakes. It can be caused by weather. Wet and slippery roads are a frequent source of jackknife skids. There may have been debris in the road, leading the driver to brake to try and avoid it. It may also be that the truck was inadequately maintained, and the brakes are not working as well as they should. One thing is clear in jackknife accidents, however. Because of the weight and size of trucks, truck collisions do much more damage than the same type of accident with a car or even a large passenger vehicle such as an SUV. A jackknife crash has the potential of spreading the truck across multiple lanes of traffic. If this happens, the danger of ancillary accidents — people running into the truck or debris from the truck — increases. Establishing fault in a jackknife tractor-trailer accident is complex. The driver may have been inattentive, for example, but drivers are also often required to meet punishing schedules that don’t allow them sufficient sleep. Company schedules may therefore bear part of the blame. If other vehicles, obstacles, or debris caused the driver to stop short and skid into a jackknife, the drivers of the other vehicles may be wholly or partly at fault. Obstacles and debris may have a cause, such as inadequate road maintenance. Inadequate brakes can be the fault of the people who maintained or serviced the truck. It’s a good idea to consult an attorney if you or a loved one has been a victim of a jackknife accident. Lawyers at The Ellis Law Firm have been successfully investigating and litigating complicated truck accidents in the Los Angeles area for more than two decades. We will fight for the rights of the injured. Please call us today for a complimentary appointment to discuss your case with an experienced truck accident attorney in southern California. We can be reached at 310-641-3335. United States Centers for Disease Control and Prevention (CDC). CDC Vital Signs, March 2015. Trucker Safety. https://www.cdc.gov/vitalsigns/truck-safety/index.html. Are Self-Driving Trucks Going to Be on the Roads Soon? Trucks are an incredibly important part of the U.S. economy, because they haul almost every type of good purchased from its manufacturing point to its sale point. There is currently a major shortage of truck drivers, with at least 50,000 jobs remaining unfilled of the 1.7 trucking positions in the U.S.
Will self-driving trucks step in to fill the bill — and to help pave the path to autonomous vehicles even more? Self-driving trucks show a great deal of promise. They can speed delivery of loads by operating while human drivers would have to sleep. And, like other autonomous vehicles, they do have the potential of making smart safety and route decisions, which could help truck safety and efficiency. Some companies are trying to capture that promise. Uber is prominent among them. As of 2017, Uber was operating self-driving trucks on Arizona’s roads. A self-driving vehicle also carried a freight load in Colorado, although its operation without a human doesn’t appear to be ongoing. But human-less trucks are not yet in operation. In Arizona, a human driver is at the wheel as a backup to the trucks autonomous decisions, and can drive the truck immediately if necessary. The Colorado route was done with a human in the back of the truck, but that doesn’t appear to have been repeated. There are two reasons for the human presence. The first is regulation. Both the United States government and each state regulate trucking. Self-driving trucks haven’t fully cleared the regulatory hurdles to be approved to drive on all roads. In Arizona, Uber’s self-driving trucks are operated only on highways, bypassing smaller state and county roads. And that’s in a state whose lawmakers welcomed Uber using the state as a laboratory for self-driving vehicles. In Colorado, the same is true – the self-driving truck was operated on the highway only. The second is technology. The MIT Technology Review observes that the technical hurdles to have autonomous trucks be fully operational and safe are greater than those for autonomous cars. While the technology is promising, it hasn’t been fully proven to be workable. In part, the issue is one of data. Companies developing fully autonomous trucks need to test them in a multitude of conditions, including road, weather, potential crash situations, and more. The testing is still ongoing. In fact, Arizona is something of a real-time testing lab for the operation of autonomous trucks with drivers at the wheel. More Self-Driving Trucks on the Road? Industry observers do expect more self-driving trucks on the road eventually. But it is not going to be next year. It may not even be within 5 years. Why? Well, testing takes time. Regulatory approval from all the agencies that regulate trucking can take even longer. Any accidents, such as the Uber self-driving car crash that killed an Arizona woman earlier this year, may delay the implementation of self-driving trucks even more. So while self-trucking trucks may be the future of U.S. transportation, they are not a sizable part of its present. If you or a loved one has suffered injuries or been killed in a truck accident in the Los Angeles area, Ellis Injury Law Firm can help. We are experienced truck accident attorneys with 20 years of experience in truck collisions. While the law and possible causes surrounding truck accidents are complex, we fight for your rights aggressively. Please call today for a free appointment to discuss your case with a seasoned LA truck accident lawyer, at 310-641-3335. Thousands of serious road accidents every year are attributed to truck cargo that is improperly secured. California drivers are accustomed to sharing the highway with commercial vehicles hauling heavy and potentially hazardous cargo. Whether transporting dressed lumber, metal pipes, building materials or household goods, this freight can spill, leak or fall off the vehicle if not adequately restrained and immobilized. Imagine driving 70 mph down the 101 only to find a giant metal beam or mattress lying in the middle of the freeway. Incidents like these are exceedingly common and a recipe for disaster. According to a study by the AAA, dangerous road debris was the cause of more than 200,000 accidents and 500 traffic deaths from 2011 and 2014. Though national statistics aren’t available, it is reasonable to assume that a large portion of these crashes involved 18-wheelers and tractor trailers that failed to tie down their cargo. Cargo securement devices can include tiedowns, synthetic webbing, wire ropes, binders, winches, shackles and steel strapping. According to the North American Cargo Securement Standard, all drivers of commercial motor vehicles must ensure that their freight is evenly distributed and effectively secured. Cargo cannot shift while the vehicle is in transit and must be fully restrained against horizontal movement. Many unsecured freight load accidents happen at high speeds, posing even more danger. Large, heavy materials can act as deadly projectiles as they fly off the trucks and into following vehicles. Sadly, many of these accidents are entirely preventable, if trucking companies and their drivers followed standard cargo securement regulations. Trucking is a multi-billion dollar industry plagued by tight deadlines, grueling schedules and a high turnover rate. Although truck accidents are common in California, crashes involving unsecured truck cargo require detailed investigations to establish at-fault parties and secure the compensation that victims deserve. Call the Ellis Law Firm for a complimentary consultation with truck accident lawyers Los Angeles residents have come to respect. For over 25 years, our award-winning law firm has been protecting the rights of injury victims throughout California. We can be reached 24/7 by dialing 310-641-3335. When a heavy tractor trailer strikes a small passenger car, there is little doubt about the likely outcome. Smaller vehicles simply can’t withstand the tremendous force of a big rig. One of the many ways in which a big rig accident can turn deadly is when a smaller vehicle slides underneath the truck. This shears off or crushes the top of the car. The individuals inside the passenger car have no defense against the steel frame of the big rig. Decapitations are not unheard of in these types of crashes. Trailers and semitrailers are already supposed to follow the underride guard requirements established in the mid-90s, but public safety advocates say these aren’t doing enough to prevent these horrific crashes. The Stop Underrides Act of 2017 is a bipartisan effort to protect drivers and passengers. If it passes and is signed into law, it’s expected to prevent countless deaths and catastrophic injuries in the years to come. The bill is co-sponsored by Senators Kirsten Gillibrand (D-NY) and Marco Rubio (R-FL), and has received enthusiastic support by Senator Chuck Schumer (D-NY). The Stop Underrides Act of 2017 would require tractor trailers to have underride guards installed on the front and sides of the truck (closing a critical loophole in the original legislation), and it would update the requirements for the underride guard on the rear of the truck. The bill would also require the National Highway Traffic Safety Administration (NHTSA) to conduct routine inspections to check that all of the guards have been installed and maintained properly. Another requirement of this legislation would institute annual reviews of underride guard standards. The structures would be evaluated for effectiveness and safety. Additional requirements can be added as vehicle safety technology improves. Although this legislation would, if passed, save lives in the future, this is likely to offer cold comfort to the families of those who have already lost their lives in underride crashes. One of the latest such crashes occurred on January 2, 2018 on I-90 in New York. Sixty-four-year-old Edward “Eto” Torres was traveling eastbound behind the big rig, when the truck braked abruptly in response to a separate accident ahead. Torres was not able to brake in time, and his car slid underneath the big rig, killing him. Sen. Schumer recently joined the family, and renewed his support for the Stop Underrides Act of 2017. The Los Angeles truck accident lawyers at Ellis Law are pleased to see any efforts made by elected officials or government agencies to improve public safety on our nation’s roadways. We work with injured individuals and their families every day, and know all too well the hardship they suffer in the wake of a catastrophic truck crash. If you’ve been injured or have lost a loved one in a motor vehicle accident, you can schedule a complimentary consultation at our southern California law firm. We charge no fees unless we win money for you! 18-wheelers weigh up to 30 times more than the average passenger car, tipping the scales at a monstrous 80,000 pounds. The trailer hitched to the powerful truck engine measures 54 feet long — compare that to the typical family car which spans less than 16 feet. There are nearly 6 million tractor trailers registered in the U.S., and a third of these are in California, Florida and Texas. The immense size and weight of modern big rigs, coupled with their slow braking abilities, poses a major risk to even the most safety-conscious of motorists. Whether caused by equipment failure, mechanical malfunction, poor road conditions or human error, truck accidents result in life-threatening injury, loss of life and – in many cases – extensive property damage to all vehicles involved. According to the U.S. Department of Transportation, fully loaded 18-wheelers take 30 to 40 percent farther than passenger cars to stop, and this discrepancy is even bigger on icy or wet roads. With this in mind, you can see why smaller vehicles are extremely vulnerable to collateral damage in the event of a collision. Jacknife dangers –Since 1997, federal authorities have required all commercial trucks to install anti-lock brakes. This safety measure has lowered the rate of jackknife crashes, where the rear wheels freeze up, swinging the trailer around to a 90-degree angle with the cab of the truck. Most jackknife accidents occur when the truck operator slams on the brakes quickly because they were following too closely or failed to take prompt evasive actions . As the trailer slides out to an acute angle, sometimes taking up both lanes, it can smash into other vehicles in its path, giving rise to a domino effect. Truck Rollovers – Federal transportation figures indicate that truck rollovers are among the most dangerous type of 18-wheeler accident, both in terms of personal injury and property damage. Some of the most cited causes of truck rollovers include: unbalanced cargo, overcorrection when steering, speeding, fatigue, driver distraction or sudden lane changes. Vehicles that are caught in the path of an overturning big rig are often completely totaled. If the truck is hauling hazardous or flammable materials, there is also the chance of an explosion or fire. Side/Rear Underride Accidents – Underride collisions represent 25 percent of all fatalities in accidents involving large trucks and passenger vehicles. Side underride collisions, in which a car slides underneath the broad side of a tractor trailer, is the most lethal, accounting for 200 deaths every year. In these gruesome collisions, the top of the vehicle is normally sheered off completely, often killing occupants instantly. Side underride accidents typically occur when the truck driver is trying to complete a U-turn or attempting to cross traffic. Due to low visibility or an absence of lights on the trailer’s side, motorists don’t see the truck until it is too late. Rear underride crashes have the same effects and normally happen when a poorly-marked trailer is moving slowly or parked by the side of the road. Unfortunately, semis are not yet required to add side underride guards, which have been proven to prevent fatal collisions. Ellis Injury Law has the resources and experience to take on large trucking companies to get clients the compensation they deserve. If you were involved in a collision that caused injury and vehicle damage, speak with a Los Angeles truck accident attorney about protecting your rights. We offer complimentary case reviews to all prospective clients. Dial 310-641-3335 today. Los Angeles County again ranks number one in California for having the highest rate of traffic fatalities. 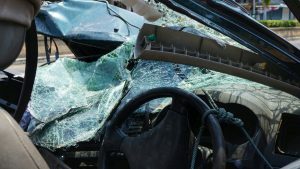 In 2016, according to the most recent available data from the National Highway Safety Administration, 3,623 Californians died in motor vehicle accidents. More than 790 of those deaths took place in L.A. County — marking a 22 percent uptick in the past four years. As any local resident knows, Southern California’s highways are congested and fraught with dangers, including poor road conditions, sharp curves, fatigued truck drivers, distracted motorists and drivers impaired by drugs and alcohol. Some freeways and interstates are more hazardous than others. Here are five of the region’s most dangerous highways. Take extra precautions when driving on the following roads. Interstate 10 – The I-10 has the distinction of being Los Angeles’ first freeway. This busy interstate highway is notorious for its disproportionately high number of vehicle accidents and fatalities. Owing to the high traffic volume and speeding drivers, it comes as no surprise that Interstate 10 is a common site of single vehicle and commercial truck crashes. State Road 138- According to federal crash data, State Road 138, which runs through parts of L.A. and San Bernardino Counties, is among Southern California’s most dangerous routes. Sections of the road are infamous for the steep mountainous terrain, sharp turns and sheer drop-offs. Rt 138 has been called “Death Trap Highway,” because of its high number of traffic fatalities. Interstate 5 – Linking San Diego up through Redding and beyond, the I-5 is an integral part of the California Freeway system, hosting more than 1 million motorists each day. This major coastal freeway is home to dozens of fatal accidents annually, particularly in Orange County where large numbers of 18-wheelers increase the risk of serious collisions. Interstate 15 – The I-15 is a well-traveled state highway that connects San Bernadino, San Diego and Riverside Counties. The stretch between Las Vegas and Los Angeles has been ranked one of the deadliest roads in the U.S. by the Scripps Howard News Service. State Route 126 – This scenic road that follows the Santa Clara River through Ventura and L.A. Counties has been dubbed “Bloody Alley,” thanks to its long history of gruesome traffic accidents. There is a 7-mile stretch of 126 from Hallock Drive in Santa Paula to E Street in Fillmore that is particularly dangerous. Many of the collisions involve speeding drivers and slow-moving agricultural vehicles that are common in the area. Unfortunately, some of these dangerous roads are used by daily commuters, while others are preferred routes for outings farther afield. Whether caused by road debris, poor navigability or inattentive drivers, vehicle accidents on these busy freeways frequently result in catastrophic or fatal injuries. If you or a loved one were injured by a negligent driver in California, monetary damages may be available to pay for your lost wages, hospital bills, loss of future earnings, and emotional pain and suffering. In the wake of any type of vehicle crash, you need to speak with an experienced Los Angeles truck accident attorney who has the resources and knowledge to get serious results. Ellis Injury Law is an award-winning personal injury firm boasting 25 years of successful case results. Schedule a free consultation today by calling our Los Angeles headquarters at 310-641-3335.